Funk Volume announced on their Facebook page that it will be very hard for you to find Hopsin’s “Knock Madness” in stores the first week of it’s release. There was a delay and not many stores placed an order. So instead of pushing back the release date they decided to just go ahead an release it on the already announced date of November 26th. So your best bet if you want a hard copy is to order it from myfunkvolume.com. You can read what was posted on Funk Volume’s Facebook Page below. KNOCK MADNESS UPDATE! It will be in stores…BUT it will be very hard to find the first week as things got delayed and not many stores placed an order. We had to decide between pushing the album back OR not having it in many stores right away. We opted to keep the 26th and just have the stores place orders for January. SO if you want a hardcopy…then it would be best to to get them on the Funk Volume website. 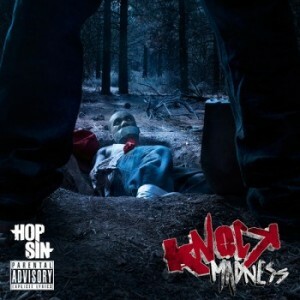 perhaps there will be a release party aswell, and at the end ofthe night hopsin will blow his brains out all over his fans…. cant wait for this album tho. dwam!